Brittany Stinson just achieved something most high school students only dream of. She was accepted into a grand total of five Ivy League schools. 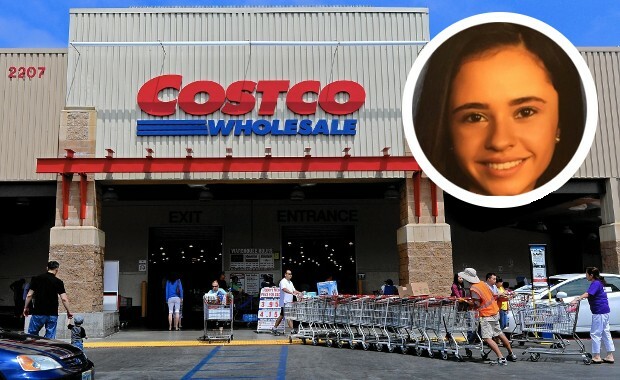 Yes, she had good grades and probably the extracurriculars too, but what really made her stand out was the amazing essay she wrote…; about Costco. But why write about Costco? Well, from reading her essay, it’s apparent Stinson has a deep bond with the grocery store chain that goes all the way back to her childhood. The essay is not only well-written, but somehow manages to be both humorous and thought-provoking. It’s the question to end all questions, really. The five schools Stinson was accepted into include: Yale, Columbia, University of Pennsylvania, Dartmouth, and Cornell. She also got into Stanford, (which we totally thought was an Ivy League school until right now) which has one of the lowest acceptance rates of any school in America at 4.69 percent. Managing to break free from my mother’s grasp, I charged. With arms flailing and chubby legs fluttering beneath me, I was the ferocious twoÂ­-year-old rampaging through Costco on a Saturday morning. My mother’s eyes widened in horror as I jettisoned my churro; the cinnamonÂ­ sugar rocket gracefully sliced its way through the air while I continued my spree. I sprinted through the aisles, looking up in awe at the massive bulk products that towered over me. Overcome with wonder, I wanted to touch and taste, to stick my head into industrialÂ­-sized freezers, to explore every crevice. I was a conquistador, but rather than searching the land for El Dorado, I scoured aisles for free samples. Before inevitably being whisked away into a shopping cart, I scaled a mountain of plush toys and surveyed the expanse that lay before me: the kingdom of Costco. Notorious for its oversized portions and dollar-Â­fifty hot dog combo, Costco is the apex of consumerism. From the days spent being toted around in a shopping cart to when I was finally tall enough to reach lofty sample trays, Costco has endured a steady presence throughout my life. As a veteran Costco shopper, I navigate the aisles of foodstuffs, thrusting the majority of my weight upon a generously filled shopping cart whose enormity juxtaposes my small frame. Over time, I’ve developed a habit of observing fellow patrons tote their carts piled with frozen burritos, cheese puffs, tubs of ice cream, and weightÂ­ loss supplements. Perusing the aisles gave me time to ponder. Who needs three pounds of sour cream? Was cultured yogurt any more well-Â­mannered than its uncultured counterpart? Costco gave birth to my unfettered curiosity. While enjoying an obligatory hot dog, I did not find myself thinking about the ‘all beef’ goodness that Costco boasted. I instead considered finitudes and infinitudes, unimagined uses for tubs of sour cream, the projectile motion of said tub when launched from an eighty foot shelf or maybe when pushed from a speedy cart by a scrawny seventeen year old. I contemplated the philosophical: If there exists a thirty-Â­three ounce jar of Nutella, do we really have free will? I experienced a harsh physics lesson while observing a shopper who had no evident familiarity of inertia’s workings. With a cart filled to overflowing, she made her way towards the sloped exit, continuing to push and push while steadily losing control until the cart escaped her and went crashing into a concrete column, 52” plasma screen TV and all. Purchasing the yuletide hickory smoked ham inevitably led to a conversation between my father and me about Andrew Jackson’s controversiality. There was no questioning Old Hickory’s dedication; he was steadfast in his beliefs and pursuits – qualities I am compelled to admire, yet his morals were crooked. We both found the ham to be more likeable–and tender. I adopted my exploratory skills, fine tuned by Costco, towards my intellectual endeavors. Just as I sampled buffalo Â­chicken dip or chocolate truffles, I probed the realms of history, dance and biology, all in pursuit of the ideal cart–one overflowing with theoretical situations and notions both silly and serious. I sampled calculus, crossÂ­-country running, scientific research, all of which are now household favorites. With cart in hand, I do what scares me; I absorb the warehouse that is the world. Whether it be through attempting aerial yoga, learning how to chart blackbody radiation using astronomical software, or dancing in front of hundreds of people, I am compelled to try any activity that interests me in the slightest.